On Tuesday, Dec. 1, How I Know There is a God . . .
My heart was the heaviest it had been in a long time; so heavy that my mind began picturing my “reaction” to the heaviness of my heart. My mind pictured my body throwing itself on the bed, crying in my pillow, and staying there the rest of the night . . . maybe into the next morning and afternoon. Regardless of how much Scott tried (because my father no longer speaks to me), my father would listen to no reason. “It’s his money . . . so if he chooses to give it to con artists, so be it” has been my philosophy once we were able to secure enough of his savings so he could pay his larger bills. But once he started amassing thousands of dollars of debt, it was a different story. According to Social Services, I have no real choice. I can either file the petition or they will. It’s called senior adult fraud, and according to my case worker, once they start (the senior adult) there is no stopping. Apparently so . . . . because we are well over the $120,000 mark. I feel guilt and absolute sadness as he chooses to “befriend” the con artists that call him on the phone over the counsel of his daughter. How can my father of 45 years choose complete strangers who whisper in his ear messages of hatred against the President, minorities, etc. . . . over me? Somehow they have convinced him they are the ones “on his side” . . . and for just $4800 more, we will give you millions. The dread and fear I have about standing eye to eye against my own father feels debilitating. I have a hard time caring what joyful music we are going to sing on Sunday as we prepare for Christmas. The presents that need wrapping . . . the work and emails that need doing . . . all those things take a backseat because there are tears that need drying. Tears of disbelief . . . sadness . . . and mourning. That’s all one can ask for, really. Since they certainly can’t take all this away. Cultivate Mental Toughness With the Navy SEAL’s “40 Percent Rule” by Patrick Allan, Lifehacker. Those are exact phrases I use . . . “my reserve tanks” . 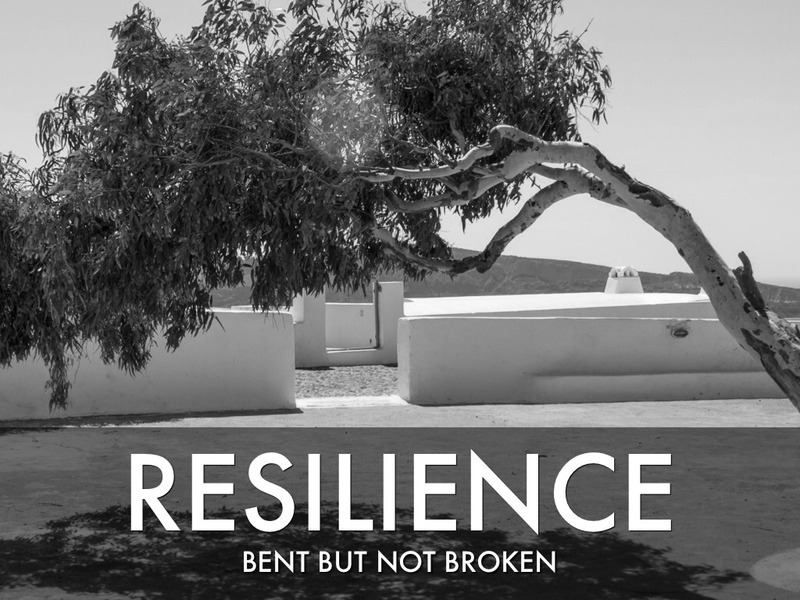 . . “resilience” . . .
I’ve been taught – “The health of any organization is directly tied to the resilience of its leader.” Since I am so passionate about my calling, the local church, and my love of connecting people to the Love that transforms all things, I am DETERMINED that I am going to be resilient. Maybe this time my pride will get me into trouble . . . So maybe I should stop, be still, and listen for where the voice of the Holy Spirit is working in the midst. I continue to read the article, turns out it was as if Divine Love sat down in front of a computer and wrote an email directly to me. “No one knows you more than you, but when you run from difficult circumstances or uncomfortable situations, you don’t even give yourself the chance to prove that you can overcome. It’s all about environment. If you want to get better at dealing with heat, then you go to the desert. If you want to get better at dealing with cold, then you go up to the mountains. If you want to get better at dealing with stressful situations, then you go to the stressful situations. I do not like the situation I find myself in. This is not how I pictured my father living out his final years . . . in disagreement or estrangement with me. However, at this point, there are only a few remaining things I can do . . . and it is now time to let go of my fear, trust in a power that is stronger than my own, and try to do what is best for a man I’ve always loved. How ironic! I knew I needed to be focusing on “The Force” so I can try to lead West to encounter Christ this Christmas, but I had no strength. Yet once I was willing to let myself and my emotions “go” . . . that is when I heard/felt God most clearly. Tonight – the force was strong, oh weary one.